Valfar’s last battle has been the one he fought against the storm on that tragic day of January 2004 – but that one, he lost it. 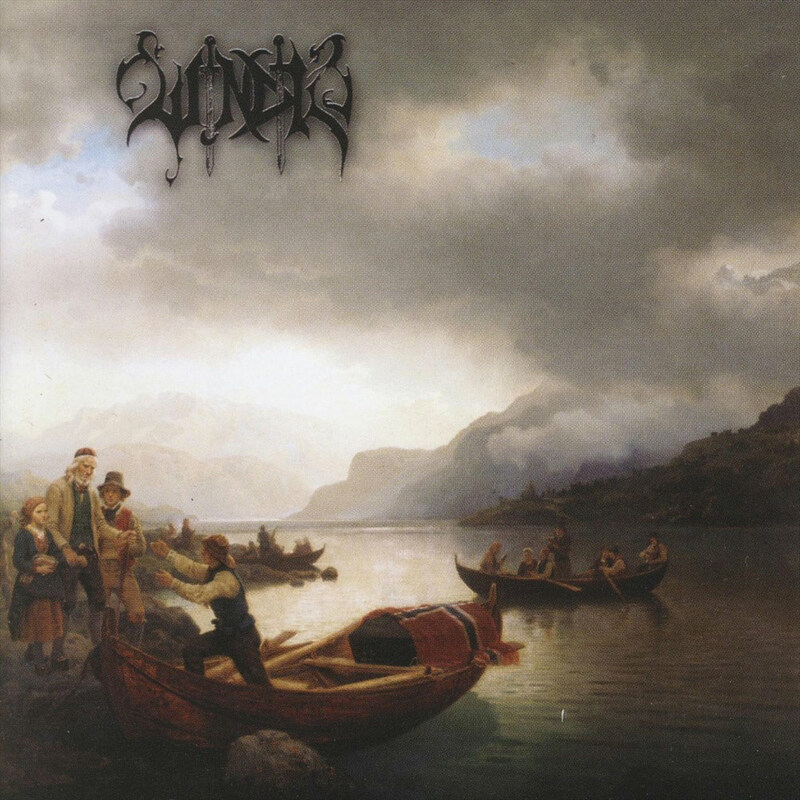 Couldn’t it then look bitterly ironical that what ended up being the last Windir album had been entitled Likferd (burial)? Just as if Valfar had foreseen almost twelve months before the events of 2004 there wouldn’t be another one, ever. Of course Likferd isn’t another 1184, what doesn’t mean it’s weaker, but simply a bit less accessible to the layman. No more accordions, less synths and keyboards, a more discrete presence of Cosmocrator and his “epic” clean vocals, a return to a majority of tracks sung in Norwegian: everything sounds as if Valfar had been afraid to lean towards a more commercial approach of Viking metal and was wishing to return to his more black-ish roots. However a more in-depth look would quickly reveal it’s far from being the case, as for instance on the four Windir albums this one is probably exhibiting the cleanest production; what of course doesn’t mean it sounds crystal-clear but simply denser, deeper – and better. The bass resounds, vocals as well as drums are mixed a tad down when compared to 1184, what isn’t unpleasant as it enables the listener to concentrate on the superb, both thick and raspy guitars which most of time occupy the front of the scene. And of course the crowning catchy touch is added by both the cold-as-ice backing orchestral keyboards, and Cosmocrator’s exalted clean chant which might sound ridicule and over-the-top to some, but has been nonetheless an essential component of Windir’s latest sound. All of the above wouldn’t however suffice to make a great album if the songwriting wouldn’t follow. Granted, there’s undoubtedly a couple of easy songs here, and that may be the only reason why I’d rank Likferd a tiny step below its predecessor. The opening track especially, though being the standard Windir high-paced raging anthem fully fulfilling his quota of screams and blastbeats, doesn’t bring anything revolutionary, and in any case doesn’t live up to the following tunes. In the same genre the third track Despot simply works better with its huge epic break going on par with more subtle bridges. The same could be said about Blodssvik: coming right after Despot, it looks a tad pale. Because Valfar isn’t ever as good as when he flirts with epic extravagance, I’d quote as evidence the long and complex Fagning and Aetti Mørkna where he’s eventually able to display all his genius both as a composer and a musician. Fagning especially can easily stand for the best track with its storming intro, majestic ending and heavily guitar-driven verses balanced by both softer and faster, more keyboard-oriented breaks. Everything being topped by an important part devoted to lead guitars, which once again shows the Windir guys not only knew how to perfectly build a grandiose atmosphere devoid of any cheese or pomp, but also how to play their instruments. Not to say the only worthwhile tracks are the longest. Paradoxically what is by far the simplest track of all is also one of the best: Martyrium will be probably rendered immortal by its unforgettable lead melody and neverending double bass which blend into an epic breath which would incite even an 80-years-old bed-ridden to rise and go to battle. Less catchy at first glance and more subtle, On the Mountain of Goats is remarkable for its slow, freezing middle part, maybe the most BM-influenced of the whole album. Eventually Dauden is the shortest but certainly not the less lively tune here, in any case maybe the most reminding of 1184 – even if it lacks the accordion. Valfar’s death may have been a great loss to every black/Viking metal lover. However, first the way he died hasn’t been unworthy of a true Viking warrior, secondly (and more importantly) he died at the pinnacle of his glory, after having released what will probably remain another Viking classic for years. One is all but sure the hypothetic following albums would have been equally strong; so like the old man on the left of the cover let’s just take a posture of sad, but quiet, resignation.